I recently read an article by a former Wall Street honcho who wrote that he had changed his job and his life, downsized, got rid of most of his stuff. He says he feels lighter, better, and happier than he ever did when he had lots of money and material goods. And I thought: hey, the guy would love France! Why? Because the French have a special relationship with small which they think is good. “A minuscule espresso, a petit piece of chocolate, a morsel of sharp cheese, a half-filled glass of wine: the French prefer tasting and sipping to goring and guzzling. Small is good”, I wrote in my chapter on the subject of small in Joie de Vivre. I wrote that chapter because I observed that the relationship of the French to “small” is very different than the one we Americans have. We like big! When I moved to France, I, who come from the Midwest where T-bone steaks overlap the plates and no one knows what a “small” whiskey is, discovered tiny portions and half filled wine glasses. Suddenly I heard the word “petit” everywhere. I take a petit tour around the block or sip a petit café. My mother-in-law called me “ma petite Harriet” which stymied me at first because I’m not particularly “petite“. I learned that putting “petite” before my name was an endearment. Oh, the French have “grand” as well – la grandeur de la France, for starters, or un grand patron, or a grand prix. But petit, I found, more often than not describes the charming things I find typically French: petites boutiques (little shops), la petite robe noire (the little black dress), les petits details (the little details that can radically change the look of a dinner table or an outfit), un bon petit plat (a good little dish of food). In France, there are a multitude of petits plaisirs. That’s why I love this place. Small is good! This entry was posted in Uncategorized on March 12, 2013 by harriet.welty. “The French don’t smile” is a comment I’ve heard many times, sometimes by visitors to France, sometimes by people like myself who have lived in France a long time. 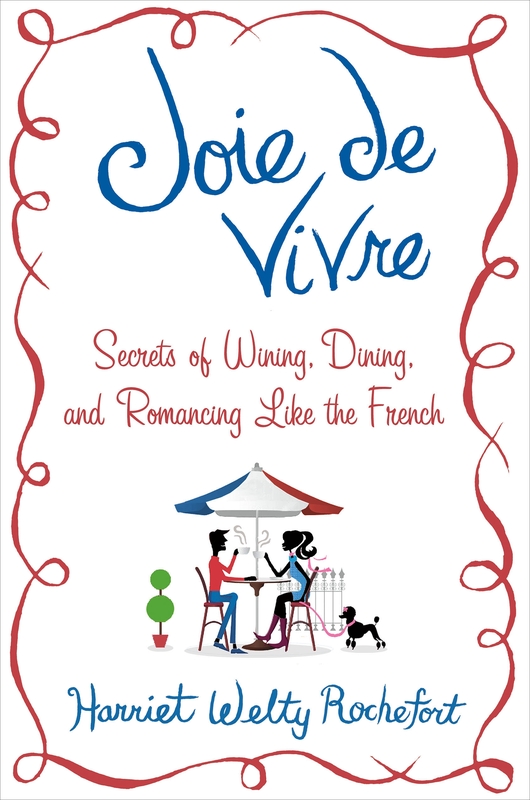 As I was writing “Joie de Vivre“, I began wondering: How could I say the French had joie de vivre if they (supposedly) don’t even smile? Et voilà, I came up with a couple of answers: l) if you come to Paris and smile at someone you absolutely don’t know as you walk down the street, you’ll probably get the same treatment you’d get in L.A. or New York City: Why is this perfect stranger smiling at me? By the same token, if you go outside L.A. or New York City or Paris to smaller towns, you’re much more likely to get a smile right back. The “no smile” factor is greater in Paris than in the provinces, no doubt about it. 2) The French DO smile. It’s just that they don’t practice the “general” smile, directed at humanity in general, something we “Anglo-Saxons” are more used to and fond of doing. The French reserve their smiles for the people they know. This “not smiling” is no joking matter! It may be one reason foreigners think the French are rude and snotty and arrogant (mais oui ). Who hasn’t heard the expression “ignorance is bliss”? According to one American who knows the French well (this time around, it’s not yours truly), “it drives me absolutely insane when I hear people French bash, particularly since, almost 100% of the time, these “French bashers” do not speak the language, do not know the culture, have never been to France, and have never even met a Frenchman.” This woman, who studied French and worked in a French company in the States for years, said she’d take “the sincere smile of a Frenchman ” any day and – get this – she’d give her right arm to work for the French again. This woman was responding to a column on French bashing that my (French) husband posted on his greatly visited website, www.understandfrance.org. I’m glad to see that some Americans understand the French reserve and don’t see it as threatening. And you know what? This woman’s name is Miracle. Quel miracle that she wrote about her appreciation of the French just as I was about to write this column. Merci! This entry was posted in Uncategorized on March 3, 2013 by harriet.welty.